A town of about 30,000 residents, Tewksbury, Massachusetts attracts individuals and families looking for relatively affordable housing options in a place with a small town feel at a reasonable distance from Boston, MA and Manchester, NH. Located in northeastern Massachusetts in Middlesex County, Tewksbury is made up of a little more than 21 square miles of rolling terrain. The town is bordered by Lowell on the west, Dracut on the north, Andover on the northeast, Wilmington on the southeast, and Billerica on the south. Tewksbury is approximately four miles southeast of Lowell, MA, 21 miles northwest of Boston, and 35 miles southeast of Manchester, NH. Tewksbury was settled in 1637 along the Shawsheen River, between the Merrimack and Concord Rivers, where the Shawsheen Tribe of Native Americans first inhabited. 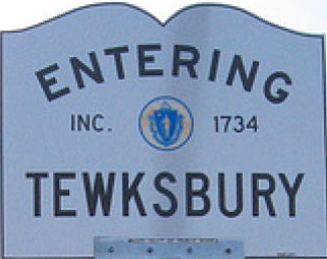 The name Tewksbury came from the town of Tewkesbury, England. In 1734, Tewksbury was incorporated and separated from Billerica. Just a few years after the town’s incorporation, a lumber mill was built in Tewksbury. During the town’s early years, the people of Tewksbury relied heavily on farming and lumber as a means of economic growth. Tewksbury is also known for being a stopping place of former U.S. President Andrew Jackson. It was said that he went to what was then known as Brown’s Tavern, a popular inn and tavern for travelers heading from Boston to New Hampshire. Today there is a great deal of industry in Tewksbury, with many options for the business person. Tewksbury is home to the headquarters of Raytheon’s Integrated Defense Systems. A major United States defense contractor and industrial corporation, Raytheon has locations all over the world. The Integrated Defense Systems headquarters in Tewksbury employs more than 13,500 workers. Demoulas Super Markets, Inc., which operates about 60 supermarkets throughout New England under the Market Basket brand, also is located in Tewksbury. Additionally, many stores and restaurants, four different golf courses, and the Public Health Museum call Tewksbury home. The Public Health Museum, the first of its kind in America, is a non-profit educational and cultural resource located on the historic grounds of Tewksbury Hospital, which was established in 1852 as one of three almshouses – housing for the poor at the time, particularly the elderly – in the state.. One of Tewksbury’s four golf courses is on the grounds of Tewksbury Country Club, which also has a public restaurant and three function rooms. Its Grand Sequoia Ballroom is a highly coveted destination for weddings. In nearby Lowell, you can go to Edward A. LeLacheur Park to watch the Lowell Spinners, the minor league baseball affiliate of the Boston Red Sox. Another option is a day or weekend trip to New Hampshire, which can include tax-free shopping, hiking, camping, skiing, and much more. An Amtrak location is located just 8 miles away in nearby Woburn, facilitating travel to points of interest in New England. Tewksbury's public school system consists of five elementary schools, one middle school and two high schools. The Tewksbury Memorial High School offers education for grades nine through twelve. In addition to the Tewksbury Memorial High School, Tewksbury residents have the option of attending the Shawsheen Valley Technical High School in nearby Billerica, MA. A public high school, "Shaw Tech" serves the towns of Tewksbury, Billerica, Burlington, Wilmington, and Bedford. In addition to public education, Tewksbury has two private schools, the Burke School and the Children World Learning Center for Preschool and Kindergarten. The Burke School offers education for children from preschool to eighth grade. Located in Lowell, Lowell Catholic, established in 1989, is a private, Catholic high school. Higher-education options located near Tewksbury include the University of Massachusetts-Lowell in Lowell, Merrimack College in North Andover, and Middlesex Community College, which has campuses in Bedford and Lowell. Just seven miles away, UMass Lowell was ranked #10 in Forbes’ Best Value Colleges list in 2013. Through the first six months of 2014, the median price of a single-family house in Tewksbury was $351,000. The least expensive house sold for $155,000 and the most expensive sale was $624,000; however, the majority of single-family homes sold for between $250,000 and $450,000. The median price of a Tewksbury condominium from January through June 2014 was $250,000. 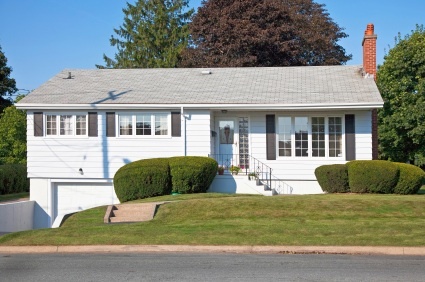 The majority of condos sold for between $200,000 and $400,000. First-time home buyers, often priced out of the expensive Boston real estate market, are attracted to Tewksbury because of its relative affordability. The Tewksbury Public Library is located at 300 Chandler Street. Besides books and educational resources for adults, teens and children, the library offers a full schedule of community events, including historical talks, film nights and even stuffed animal sleepovers. The library also offers volunteer opportunities. The Tewksbury Senior Center, located at 175 Chandler Street, recently expanded to 23,000 square feet. Some of the services provided by the senior center include hot lunches and "Meals on Wheels," seasonal income tax assistance, educational seminars, rehabilitation equipment on loan and heath services. The Livingston Street Athletic Complex is located just off of Main Street in Tewksbury and is operated by the Tewksbury Recreation Department. It has eight fields for softball and baseball, two football, two lacrosse and three soccer fields used by the public schools, as well as youth and adult recreation leagues. The Recreation Department building, located at the complex, houses a snack bar, a covered pavilion and playground, a skate park, two tennis courts and a basketball court. A town manager, who reports to a five-member board of selectmen, handles the day-to-day operation of the town. Every spring the town holds an open town meeting where the budget is submitted for approval by the town's citizens.